The concept of work is changing: users have come to expect a mobile, flexible and seamless workspace experience with access to all their apps from any device. A digital workspace is the solution to take productivity for your users organization to the next level while protecting your data. For a growing number of employees, the physical office the only place work gets done. Today’s digital workers can be productive just about anywhere, whether in the office, at home, at a patient’s bedside, or on the factory floor. 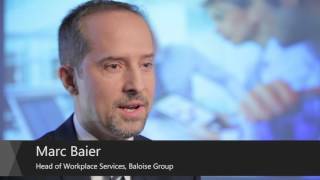 The combination of digital devices, applications, wireless connectivity solutions, management tools and cloud services that make this possible creates the digital workspace. While mobile devices and bring-your-own device (BYOD) policies can be considered part of a digital workspace, the actual experience of working anywhere, anytime is rarely as seamless as it should be. According to CCS Insight’s 2016 Employee Mobile Technology survey, only a third of employees feel that the mobile technology provided at work fully meets their needs. Organizations must provide a seamless and flexible digital workspace that caters to users and IT—a digital workspace that provides users with secure remote access and a great user experience, and does so at a low cost. A Citrix Workspace is the only single-vendor solution to offer all the key technologies necessary to securely deliver apps, desktops and data to users on any device. A unified app store and always-on network enables easy access to virtual, native mobile, web and SaaS apps, so that users can stay productive. Single sign-on and optimized graphics and performance help enhance the user experience. Data is stored securely for remote access that protects against threats and strengthens identity protection. Deploy Citrix Workspace via cloud or on premises with shared resources and start delivering high-performance, adaptive user experiences while increasing productivity. Find out how Citrix Workspace can help your organization. Provide a scalable solution that enables a more agile and productive workplace. Reduce costs through unified endpoint management. 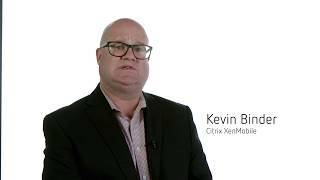 Download your free Citrix Mobility Kit.